Goan curries commonly contain fish or seafood, and are generally spicier than the curries popular in the north of India. 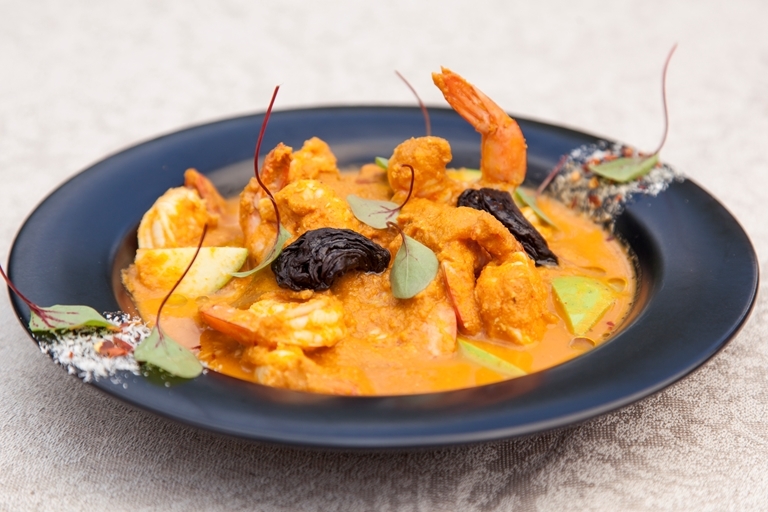 Alfred Prasad's stunning Goan prawn curry recipe is full of rich, deep flavours but is very simple to prepare, although it contains a couple of unusual ingredients. Kokum (dried mangosteen) and dried goraka fruit are commonly used in Indian and Sri Lankan cooking, adding a sour fruitiness to fish and meat curries. Both kokum and goraka fruit can be bought online or from specialist shops, but if you are unable to get hold of any use tamarind instead — a common flavour substitution.